Has your workplace got a cockroach pest problem and are you in the Bristol area? We will help you identify, remove your insect cockroach pest problem from your commercial building. Cockroaches are incredibly resilient creatures, considered nuisances in the human food hygiene department. They spread food poisoning, cause dysentery and gastro-enteritis. 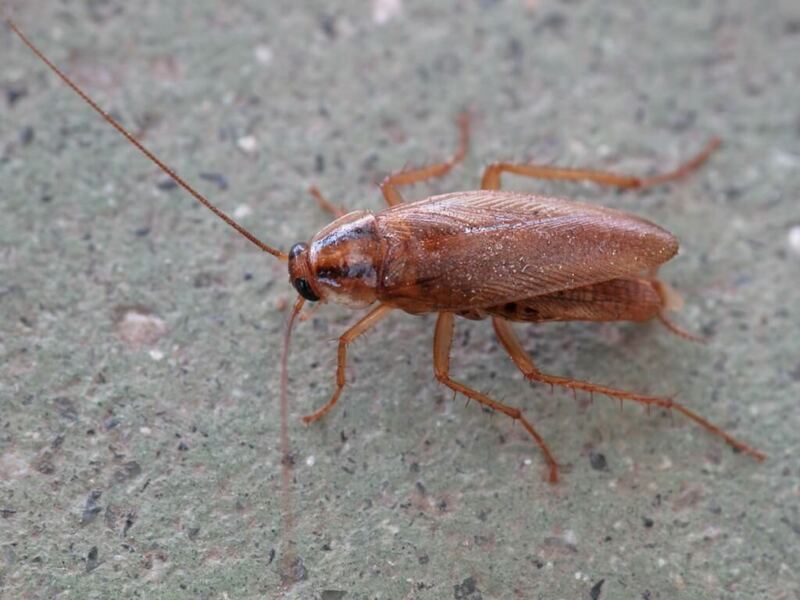 Bristol cockroaches can even cause allergies in some people with their dead bodies and faeces being the main culprit in the spread of bad food hygiene. There are two main Bristol-found cockroaches - the Oriental Cockroach and the German Cockroach. Both of which venture out in the hours of night time. Oriental cockroaches in Bristol take longer to breed, preferring drains and cooler areas around the workplace and commercial building. The German Roach has a brown shield-shaped back and ventures towards humid warm places, like behind and under appliances. When a cockroach infestation is present there are often faeces that look like black pepper balls and a strong sour smell. Both types of Bristol roach need to be dealt with swiftly. What can we do to prevent or control your cockroach pest infestation problem around your commercial property? To limit Bristol-based cockroach infestations, regularly remove household waste and clean any residual food traces from surfaces and warm moist areas. Especially behind cabinets and white goods or near sink run off areas and pipes. Our cockroach prevention process for the Bristol area consists of a regime of treatment that includes high quality insecticide gels. Repeat-application in the correct treatment areas until all eggs have reached larvae stage is required. We will ensure the treatment is thorough enough and our preventative advice will help eradicate your workplace roach infestation.